I’m not sure if this is something to be proud of or scared silly over. Either way, eBay Classifieds did some heavy lifting and dug into the phenomenon of adding your dogs and cats to social networks. There’s nothing I can say about it really, since my dogs Rocky and Adrian are both on Twitter. 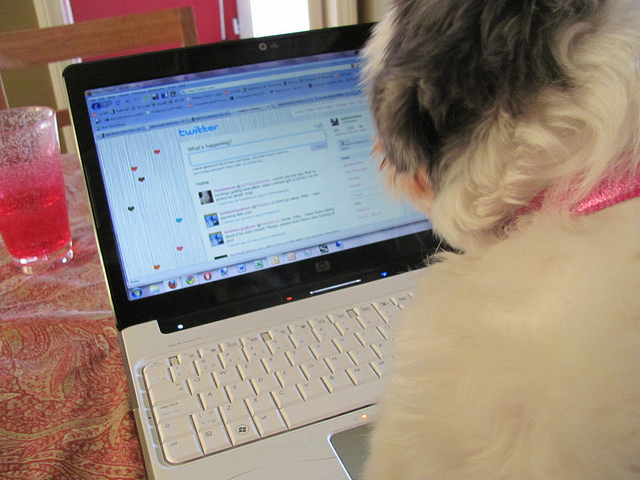 Apparently, Twitter isn’t as popular as YouTube pages for pets, which is a bit of a surprise to me. I guess 140 characters is too much to ask for from a pet consistently. The below infographic about the socialization of our pets online was partly inspired about our piece on the matter in 2010. Enjoy! Read next: Steve Jobs on starting Apple "We had nothing to lose, and we had everything to gain"